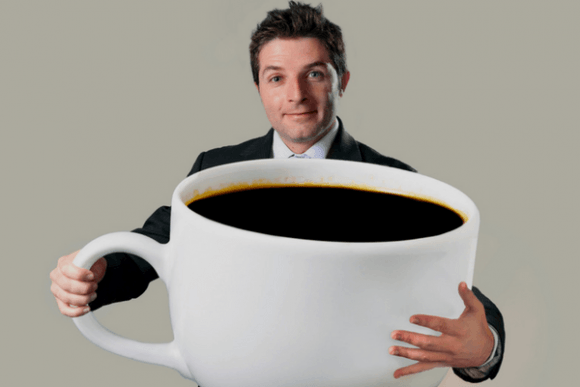 » How Much Caffeine Is In A Cup Of Coffee? There are those among us who wouldn't start their day without coffee. They have to have a cup or five to even notice what day of the week it is. Well, five is a new level of addiction, but what about a cup of coffee makes the day seem manageable? Caffeine, that’s what. ​Coffee is the largest dietary source of caffeine, and actually, which is why you can’t mention one without thinking about the other. A typical cup of coffee contains about 95 mg of caffeine, but it this depends on a host of factors, including the type and roast of your coffee beans. 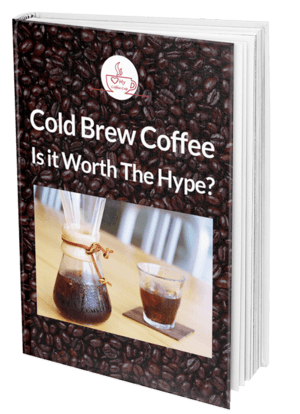 Before we get to how much caffeine is in a cup of coffee, let’s talk more on caffeine. The FDA classifies caffeine as a food additive and a drug, and it is found in more plants than coffee. Cacao pods, tea leaves, and kola nuts all have some content of caffeine, but coffee beans carry the most substantial amount. It is a drug because it alters the nervous system. Studies have shown the similarity of the molecule adenosine to those of caffeine. Naturally, adenosine regulates the wake-sleep cycle in the brain by binding enough receptors. Those receptors will then signal the brain when it is time to rest. When you consume caffeine (doesn’t matter the amount), adenosine is inhibited from binding, and so the brains stays alert all through. Note here that caffeine does not replace the need to sleep, but rather just inhibits the brain’s natural trigger, and so it keeps you from feeling drowsy. It goes further than just block adenosine. The level of the adenosine will rise, causing the adrenal glands to release more adrenaline, hence the extra energy that comes with coffee consumption. Now, different amounts of coffee react differently to people. It can take as few as 13 minutes for caffeine to kick in and as many as 10 hours for the effects to wear off. The metabolism of caffeine happens in the liver, and the enzyme CYP1A2 affects it. The CYP1A2 gene regulates the production of this enzyme. An alteration of DNA determines how our bodies absorb and later eliminate caffeine. Sensitivity depends on the amount of enzyme the body produces. The general population is in the middle, producing neither too little nor too much. 10% of the population metabolizes caffeine rapidly, and so that group is not sensitive to this aromatic drug. 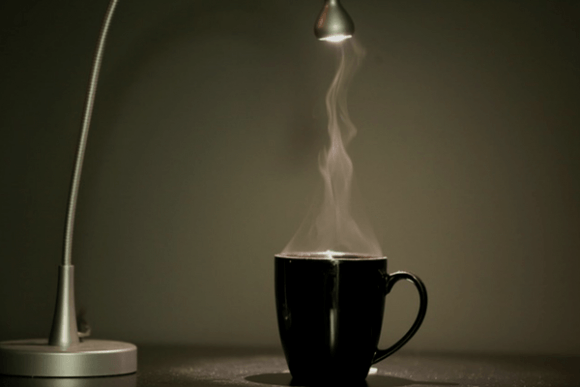 Additionally, a person’s adenosine receptors play a role in how they react to coffee. If you lack the right amount of receptors in your brain, you are not going to be affected by consumption of caffeine, seeing as the caffeine molecules cannot bind sufficiently. So, what is your level of sensitivity, coffee lover? You belong in one of these three groups. Hypersensitive - If you are hypersensitive, even as little as 80 mg of caffeine will be too much for you. Your body will take twice as long as it would normally take to metabolize one cup of coffee. Anything over 100 mg will have you experiencing caffeine overdose syndrome (extreme sensitivity caffeine). Normal Sensitivity - Normal sensitivity places you in the middle. You can consume between 200 and 400 mg of caffeine and not notice any adverse effects. Even better is the fact that this much coffee will not disturb your sleeping pattern as long as you consume it early enough in the day. Hyposensitive - This is where that 10% we spoke about earlier belongs. If you belong here, you will take a mug of coffee right before bedtime and sleep like a baby. You can consume as much as 500 gm or more and not feel any effect of caffeine. The only downside here is that hypo-sensitive people need a lot of caffeine to feel the effects. Although the average cup of coffee has 95 mg, other factors come into play when determining the amount of caffeine in your cup. The darker the roast, the deeper the flavor of your coffee. However, lighter roasts have more caffeine content since you will need to roast the beans longer to get the desired darkness. Caffeine is lost during the process. The type of bean matters too. Arabica, grown in parts of East Africa and several parts of the world, has about 1.5%. Robusta has the highest content of caffeine at 2.7%. It makes the best espresso. The size of your preferred mug will also affect the amount of caffeine you consume, and so will the method of preparation. Brewing coffee is a simple and popular way of getting your cup of Joe for the day. You simply pour hot water over your ground coffee without needing to heat it any further. An average cup of brewed coffee (about 8 oz) contains 95 mg of caffeine. The French press gives you a slightly more caffeine cup. The coffee is in hot water for at least two minutes, and so it has more time to extract caffeine. You could end up with about 130 mg for the same 8 oz cup. When you use a coffee machine to make your cup of coffee, a few things change. Your beverage drips slowly from the machine, where it takes longer in hot water, and so naturally, you will have more caffeine, depending on the roast and bean type. Brewing coffee in temperatures of 195-205 degrees C will yield more caffeine. Instant coffee, which is the easiest to brew, will contain about 60-90 mg per a regular-size cup. Next time someone insults you with instant coffee, be sure to rub that in their face. 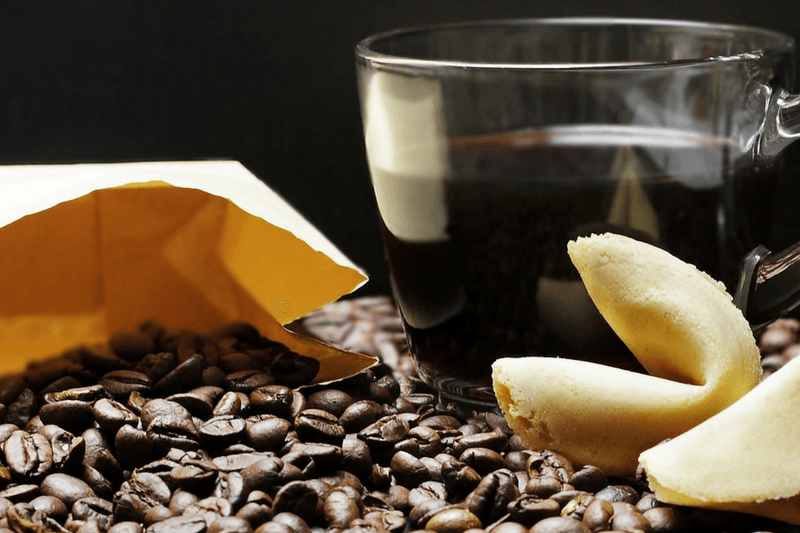 Espresso is the most loved brew among coffee drinkers for its caffeine content and flavor. One shot of espresso, which contains 50-70 ml of coffee, has as much as 63mg of caffeine. A double shot will give you up to 126 mg! Other espresso drinks that include a bit of milk such as cappuccino and lattes will have lesser quantity so that a single (about 6 oz) contains 63 mg caffeine. First, this will depend on your sensitivity. If you are hypersensitive, one cup is already too much. Following the info above on factors that determine caffeine content, you could get a brand that meets your caffeine needs without causing you harm. If you are in the normal sensitivity group, about 400 mg (4 cups a day of coffee-8 oz) is ideal. 200 mg more than that and you could experience the normal symptoms of caffeine overdose such as jitters, lightheadedness, anxiety, and inability to see properly. Research done in 2004 found that it would is more beneficial to consume small quantities of coffee throughout the day in intervals of two hours instead of taking one large shot of coffee. This way, the brain does not experience a high only to slump once the effects have gone down. You will also avoid consuming copious amounts of coffee to stay hyperactive. Additional Read: Coffee - 3 Tricks to Make Yours Super-Healthy! Miguel Garriga can be found at Herecoffe.com. A place where they take the term “coffee break” seriously, bringing you extensively researched articles on all things coffee. They love their coffee black and flavorful, as you can tell from their reviews of the best coffee machines on the market. Feel free to drop them a line in their comment section.